Here we are again, the festive season. Firstly a Merry Christmas to all our loyal customers and to those we have yet to meet. Each year we publish our opening times over the Christmas period as Christmas day, Boxing day and New Years day are the only days in the year when we are closed. So here are our opening times for this year. Any orders for free local or mainland UK delivery made whilst we are closed will be delivered in the next available delivery slot (also listed). Can I take this opportunity to ask that if you have any orders to make please do it as early as possible. Although we are open, most of our suppliers are not and although we do order extra stock to see us through we only have so much storage space and can run out before we have had the chance to restock during this busy period. Saturday 2nd Jan – OPEN as usual – business opening times and deliveries all back to normal. So if we don see you before, have a Merry Christmas and a happy and prosperous New Year. The Angell Pets Team (Richard, Billie, Henry and Albert and also Kim and the absentee temporary? Kiwi, George). Christmas Stockings for dogs and cats usually come pre filled with treats and toys that someone at a head office, somewhere, has decided should be in them. 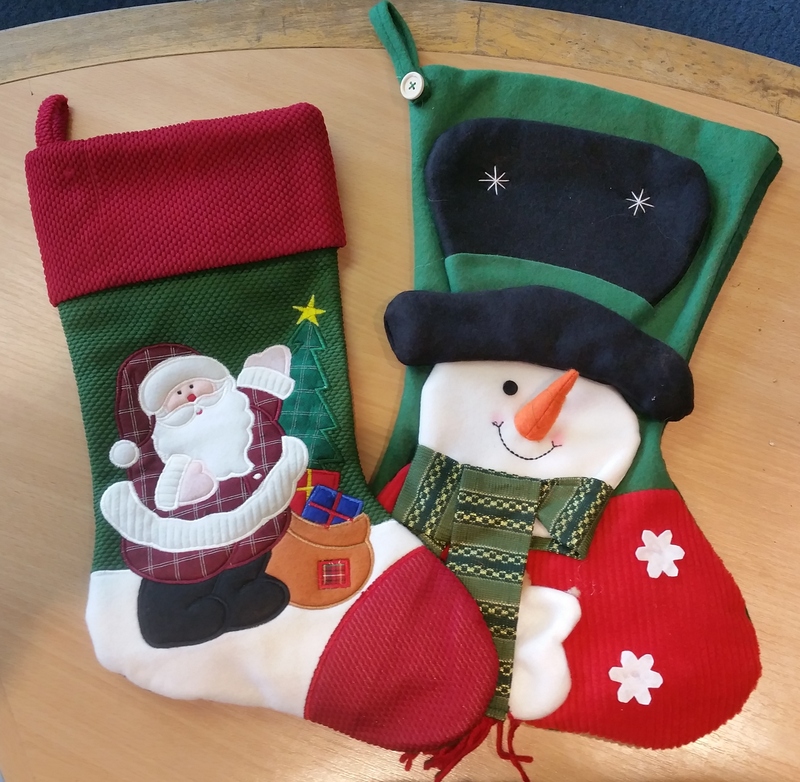 This year we are offering plush Christmas stockings for £3 that you can then fill with any treat, toy or accessory or any combination and we will give you 10% off the total cost of the whole package. We will even throw in a FREE sample of APL dog food. 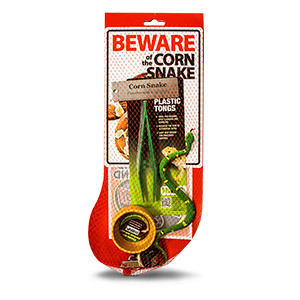 Use it as food or use it as treats for dogs or cats. If you can’t get in to the store then have a look on the web site and decide what you want then give us a ring and we will fill the stocking for you and arrange delivery. As usual, local delivery is FREE, UK wide delivery will be £5. So why not visit us over the coming Victorian Market weekend at Gloucester Quays and pick up a bargain DOG OR CAT Christmas Stocking. Ideal mothers day gifts are hard to find but we have two in stock. Not only do they make great mothers day gifts but they are in easy to post packaging (large letter size). 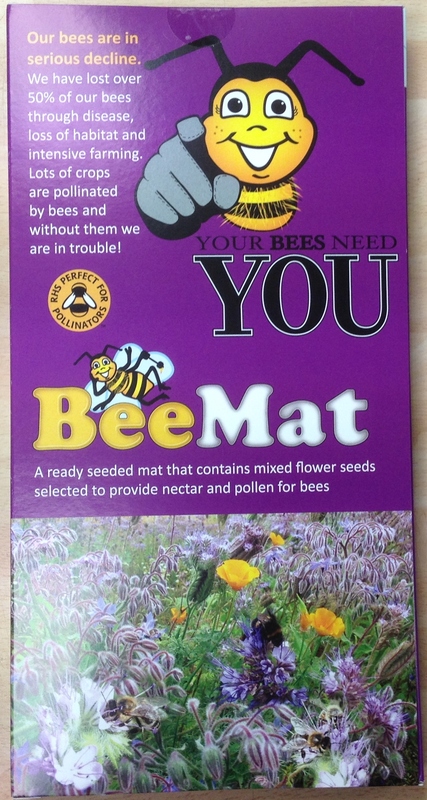 We had these in last year and they proved very popular. 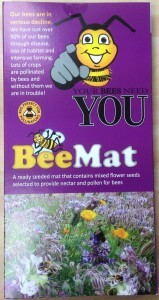 Bird mats and Bee Mats are an excellent mess free way to promote birds and bees in your garden. CLICK HERE for a fuller account of this superb product. So when you remember that you have forgotten to get a mothers day present you know where to come for something a bit different. You can order on line, over the telephone (01452 501882) or pop in and see us in store. It doesn’t seem like a year ago I was publishing the opening times for the holidays but there you go. So, our first Christmas in our new store. We have got in extra stock to help get our customers over the Christmas period without any shortages. Up to and including Tuesday 23rd – normal hours and free local delivery service. Wednsday 24th – Christmas Eve 9am – 6pm. No free local deliveries. Monday 29th – 9am – 5pm. Normal free local deliveries. Tuesday 30th – 9am – 6pm. Normal free local deliveries. Wednesday 31st – 9am – 6pm. No free local deliveries. Friday 2nd – 10am – 6pm. Normal free local deliveries. Sat 3rd onward – back to normal opening hours and free local delivery service on weekdays. Please note that UK deliveries will be dispatched as normal throughout the holidays but will be subject to usual postal service Christmas closures so arrival may be delayed. Have a merry Christmas, a happy new year and if we don’t see you in the shop, hope to see you on your doorstep as we drop off your orders. New shop – new stock! We are two weeks into our new location in Southgate Street and are still getting used to the new layout (slowly). We had a delivery of some fantastic new products during the move and I have only just finished getting these products on our system and website. Sorry it’s taken so long but I have been just a tad busy the last few weeks. These products are all from a new supplier MIro & Makauri. I have listed them all below, with links to our webstore. They have only been on sale for a day and are already proving popular. Excellent quality at a reasonable price always sells. Have a look and see what you think. 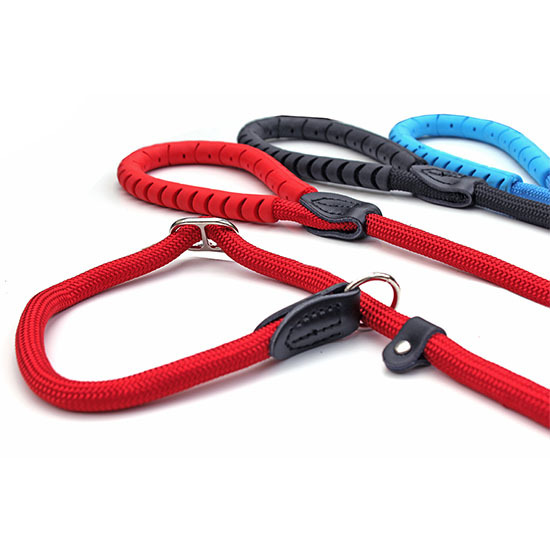 The rubber handled leads are very comfortable and the padded leather collars are top quality. The slip leads also double up as an anti pull walking aid. 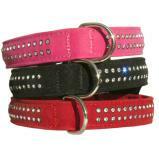 We even have some new “bling” diamante dog and cat collars for those of you who like the flashier side of life! 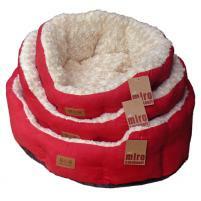 The Makauri dog beds are very high quality. 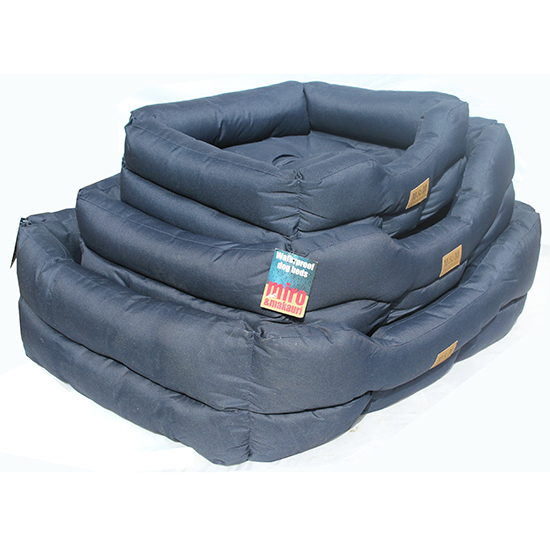 The waterproof range are tough and very durable and the cosy range won’t look out of place in the best of living rooms. Oh and of course, don’t forget we do FREE delivery to Gloucester, Cheltenham and Painswick with no minimum order. Pet shop closed for the holiday period? Pet shop closed ? 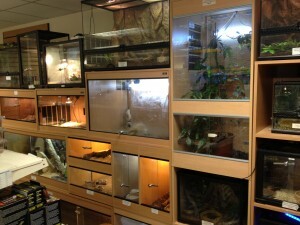 Does your local pet shop close over the holiday period? Many small independent pet shop businesses close over Christmas and new year, just at the time when their customers need them most. We are closed for Christmas day and most of Boxing day and most of New Years day (see my blog for exceptions). I work seven days a week and these are my only three days off a year. However I make sure that we are available through our online pet shop during these periods and that we are open on every other day of the holidays. A lot of small pet shop owners complain about the challenges facing their business in the modern world then refuse to take the steps necessary to protect their pet shop from those challenges. They complain about big chains being open longer but won’t open seven days a week or on bank holidays or over the Christmas period. They complain about online pet supermarkets; faceless, uncaring giants that do not know anything about their products (all valid commentary) but then fail to invest in an online pet shop presence to compete with them(and in fact compete very well as they would be able to offer the help, advice, additional services and customer service the big pet shop companies and warehouses cannot). 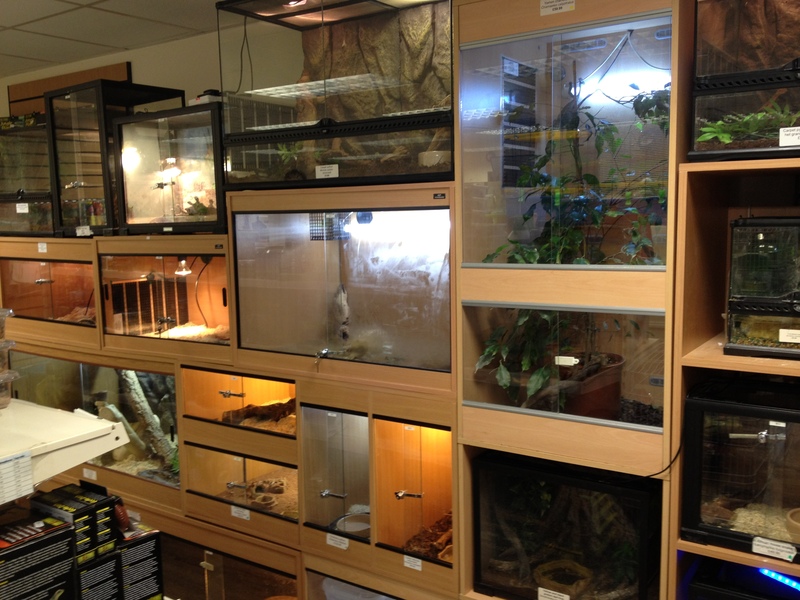 Well we are a different sort of independant pet shop. We open when we are needed, we have an excellent online pet shop, we have an active Facebook page to interact with customers that can’t make it into the shop and we deliver free to our local community, offer nail clipping for small animals for only £1 with a free health check, free water testing (by someone who lectured on water quality on a diploma course not some little Saturday person who doesn’t know one piece of very soft anatomy from a bonier bit), offer micro chipping and lots of free advice. We support our local community with school talks and community events, charity prizes and free advertising of charity events. Over the past few years (we have been open over 4 years now and we opened in the very depths of the recession too) we have seen independent pet shops close all over the country in the face of growing competition from pet superstores etc. (you know the ones) that should not be able to hold a candle to the small independent pet shop (and in reality everyone knows they can’t), and online warehouses. In all case, including that of friends of ours, none of them have taken up the challenge and put things in place to protect their business. How many had an active Facebook page (so often, when I’ve talked to business owners they said things like “I don’t see the point” or have bothered to find out how to use it properly)? How many had an online pet shop or anything more than just a one page site with the business name and address on it. I was going to say better than nothing but not really. If it is not an actively updated page it may as well not exist, it won’t come up in any searches (unless someone was searching for that specific business name). How many still didn’t open on Sundays and bank holidays? How many closed at 5pm so anyone on their way home from work couldn’t just pop in and get their supplies? How many didn’t do free deliveries from their pet shop to their local community and so missed out on all those customers that just couldn’t make it in when the shop was open or found the shop just that little too far to travel? Again our pet shop is different. That is why, to use terms you hear on the business slot on breakfast TV every day, our total sales and market share have continued to grow ever since we opened and with the launch of our online store, backed up with the knowledge of our staff on the products we sell, continues to grow almost daily. So thank you to our regular pet shop customers who remain incredibly loyal, welcome to our new customers, online, on Facebook, on the telephone or on foot and we look forward to seeing you all in the new year if we don’t see you in our open pet shop between now and then. We have ordered in extra stock of all the best selling products to cope with the normal rush from customers who usually go elsewhere but can’t because they are closed or have run out. Have a great Christmas and a prosperous New Year everyone. We only have a few Christmas gift items left in stock. Seasonal gift items continue to sell well so if you have any last minute items to get, hurry up because they won’t be around for much longer. Here’s a list of what we have left. 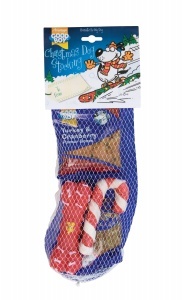 All our Christmas gift items can be purchased in store on online. Angell Pets is OPEN over the Christmas and New Year holiday period. We close for only three days a year. Christmas Day, Boxing Day and New Years Day. We are OPEN every other day of the year. Thursday 2nd January – back to normal hours (9am to 6pm Mon – Sat, 10am to 4pm Sunday). Any online orders will be picked and packed as normal but will be subject to Parcel Force’s own Christmas shutdown. Any Angell Pets online orders for FREE local delivery will be picked and delivered on days (evenings) when we are OPEN. We will be delivering FREE to GL1, GL2, GL3 and GL4 post codes right up to Christmas Eve. So if you forget some one or need a last minute present or bag of dog food, order online or give Angell Pets a call to place your order and get it delivered FREE. Juwel aquarium web offer until 31/01/14. 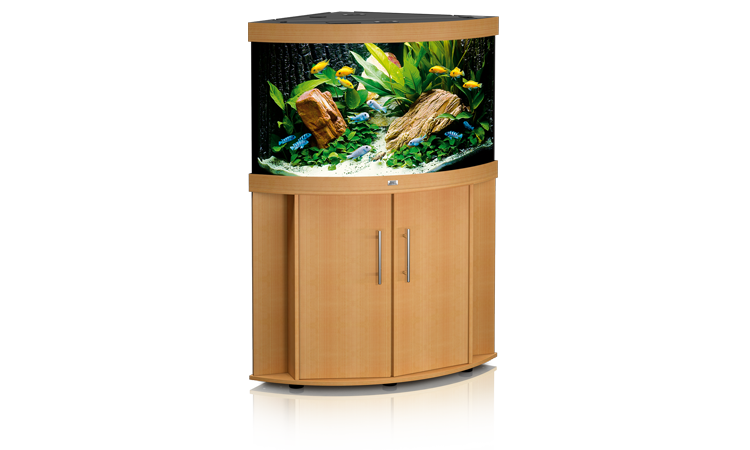 We are very pleased to offer Juwel tanks and cabinets at superb prices until the end of January next year. Our Juwel tanks are usually set at prices over 20% below RRP. For the next three months we have and extra 10% off these already low prices. We will be adding more of the Juwel aquarium range to our website over the next week or so, including the economy Rekord and the luxury Vision. Thease are avaiable to order at the offer prices from now but will take a little time to upload to the site. If you want a price for one of these Juwel aquarium ranges, just give uas a call or drop us a line and we will get back to you with price and availability. Normal lead times for delivery are up to two weeks from order confrimation. For local delivery (sorry we cannot offer our normal FREE local delivery for these items due to their large size) lead times are one week for instock items. So if you have been wanting a fish tank for a while but were put off by the price, want to get one for yourself or a loved one for Christmas, or have read this blog and thought “I fancy that”, then take advantage of these fantastic prices whilst you can. Of course the after sales advice on setting up your prized possesion is FREE. We are not your normal webstore that is willing and able to sell you a tank but is not able to help you after that. One of the added benefits of the Juwel aquarium range is that they are very easy to set up and to maintain. I should know, I’ve had a Juwel Trigon 190 at home for quite a few years now and have a Juwel Rio 125 set up in the shop. Being a very busy man I have to have something easy to maintain and the Juwel range fits the bill very well as well as remaining one of the most attractive out there and having a good range of decor and accessories designed to fit your tank.